Reading on your iPad, iPhone, iPod touch or Mac is just like reading a book. But once you get started, you’ll see it’s so much more. Turn pages with a flick on your iOS device or a two-finger swipe on your Mac trackpad. Read one page at a time, or turn your iPad on its side and view two pages at once. Read everything full screen, with no distractions, or read in white-on-black night-time mode. Alter the look of most books by changing their text size and font. And open as many books as you like when reading on a Mac. An electronic book (variously: e-book, eBook, e-Book, ebook, digital book, or even e-edition) is a book-length publication in digital form, consisting of text, images, or both, readable on computers or other electronic devices. Although sometimes defined as “an electronic version of a printed book”, many e-books exist without any printed equivalent. Commercially produced and sold e-books are usually intended to be read on dedicated e-book readers, however, almost any sophisticated electronic device that features a controllable viewing screen, including computers, tablet computers, and smartphones can also be used to read e-books. The Vidibiz team are working on developing the iBook concept, this is a short “informative” sample will help to explain what the project will involve. In short we can provide iBooks for a wide range of purposes, whether informative, educational, instructive or entertaining – talk to us about your application. 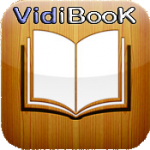 If you are looking at this from an Apple Computer, iPad or iPhone using IOS8 you will be able to view the VidiBooK sample. This is a “Work in Progress” giving an example of some of the things we can do to create a VidiBook to meet your requirements. We have now established that the “iBook Authoring” concept can be achieved as the sample work has been proven, the concept needs a “cohesive team” to work together to produce the actual material in a timely/affordable manner. 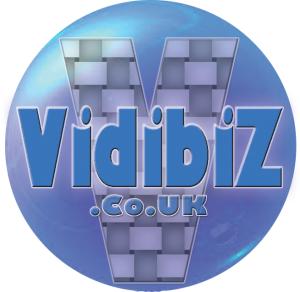 Vidibiz have pulled together a team that are competent, experienced and able to produce a marketable product that will meet the needs of the sector market. In the short term “Hathor Media” will author the eBook material and develop various market sectors as we progress, potentially beauty, hair, Wellness, health, security, retail and eventually technology. All project financials will be managed and controlled through Vidibiz. “Hathor Media” will be the digital eBook publishing medium so avoiding confusion as Vidibiz Digital Media is primarily a Video Production Company and not a Publishing Company, however, Vidibiz may also source digital material from other providers as the project grows to satisfy demand! Vidibiz Digital Media will work with educators, schools and colleges to produce digital material for eBooks, but may also need to work with other trade partners to support a sustainable business. The ebook will overtake the paperback and hardback as Britons’ preferred format for reading their favourite novels by 2018, according to a report. The UK consumer ebook market – which excludes professional and educational books – is forecast to almost triple from £380m to £1bn over the next four years. Over the same period, accounting group PwC predicts that sales of printed editions will fall by more than a third to £912m as the UK population’s reading habits become dominated by tablets, with 50% of the country expected to own an iPad, Kindle or a similar device by 2018. Bloomsbury’s biggest e-seller last year was Khaled Hosseini’s And the Mountains Echoed – which was also its biggest seller in print. The rise of the Amazon-owned Kindle, Apple’s iPad and WHSmith’s Kobo has also benefited genre fiction, according to Bloomsbury, with mainstream literature still the preserve of the bookshelf and not the computer screen. Newton said that ebooks might represent a quarter of the sales of literary fiction. However, in genres such as westerns, sci-fi and romance, well over 50% of sales could be in ebook form. “The pattern of consumption is that among ebook readers there is a desire to pre-order, or get it quickly, so ebook sales are particularly high in the first few weeks,” he said. PwC’s latest global media and entertainment outlook also notes that in the consumer book market, the rise of e-editions will more than outweigh the decline in print sales. By 2018, the total UK consumer book market will be worth £1.9bn, up from £1.8m last year – despite the loss of more than £500m in print sales over the period. Nonetheless, the rise of Amazon and the Kindle is transforming the nation’s publishing institutions, which are being forced to seek new sources of revenue. As bookshops close, authors are embarking on rock star-style tours; the newly formed mega-publisher Penguin Random House sold 10,000 tickets for a reading tour by Caitlin Moran. The publisher is also turning one of its most famous characters, Peter Rabbit, into a cartoon and is seeking tie-ins with toymakers and chocolatiers. Some publishers are looking at diversifying into new forms of content, for example by combining books, films and games into a new narrative genre. A new iPad thriller called The Craftsman, launched last year, turns the reader into the main character in a gothic, cinematic chiller.